I am trying to build a budgeting and planning model using the Financial Model Wizard. However, I would like to make certain changes in the presentation of the income statement module. 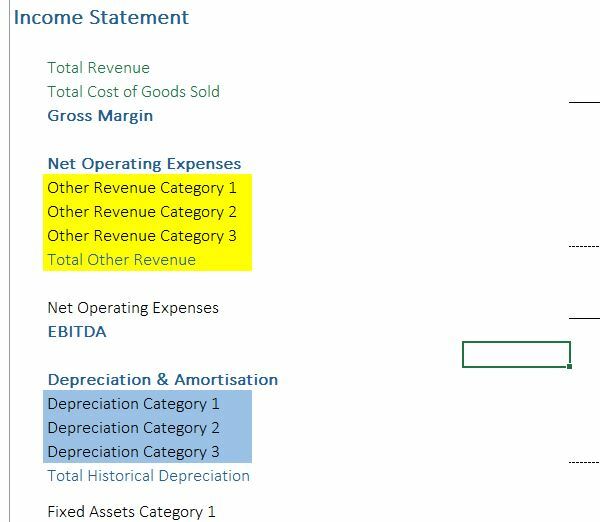 For example, for the other revenue items, I would like to show it under the EBIT line instead of being under the Net Operating Expenses line. I would also like to move the depreciation and amortization category just after the Cost of Goods Sold (before the Gross Margin). In short, I would like to re-create how some income and expense items are presented in the income statement. How do I do these? Thanks.